Leavenworth golf courses are a great way to enjoy the nature, your favorite sport, and a little peace and quiet while you are on vacation. Conveniently located next to Pangborn Airport, this golf course features golf-course style holes and scenic views. The Leavenworth golf club is good for both beginners and advanced due to its narrow course and variety of terrain. You can choose to golf either 9 or 18 holes or partake in special twilight rates. There is also a restaurant at the club that is open year round. 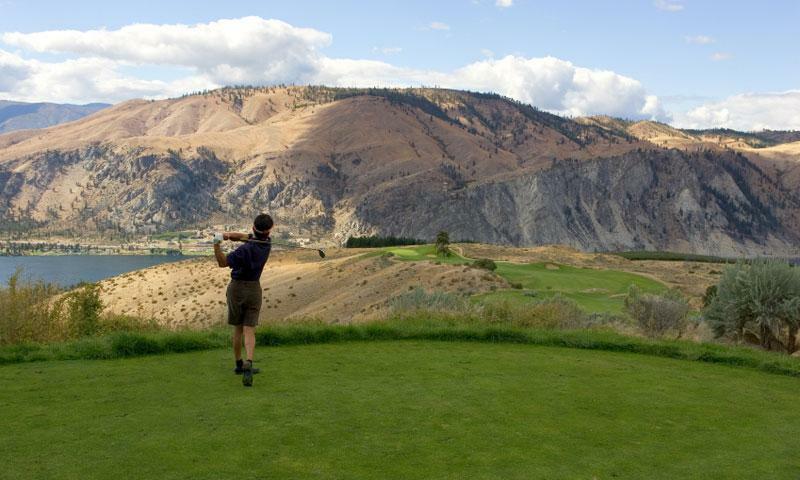 If you are staying at a participating inn in town, you can receive special discounts for golfing. Location: Located at 9101 Icicle Rd, this Leavenworth Washington golf area is easy to get to. Take US 2 W and turn left on Icicle Road. Season: The golf course is open from April to October, Monday to Sunday. The restaurant is open year round. Contact Info: For more information please call (509) 548-7267.